What do you call an assisted death? Controversial in death as in life, the Hemlock Society USA as a name died suddenly on June 13, 2003, in a boardroom in Denver, Colorado. It was 23 years old. Public relations experts and political strategists  leaning heavily on focus groups  were on hand to usher in the death knell. Months of agonizing debate had preceded the decision because no one could think of a better name! Share your views with the rest of the world on ERGO’s weblog. Help ERGO in its work to achieve choices in dying. Exchange news and views on a wide range of right-to-die topics. to die when physical suffering is unbearable). 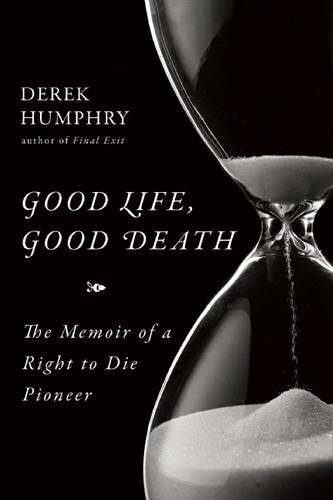 Visit the ERGO Store and browse the catalog of books, eBooks, DVD and VHS video, and documents authored by Derek Humphry. Pay securely with a major credit card or PayPal. Checks, eChecks and money orders also accepted.